Last week Forrester Research hosted a Forum for Marketing Leaders in New York City. I had the pleasure of speaking with top enterprise executives about data and analytics strategies to help them harness the exponential increase in data volume — caused by new devices, channels, and fragmented audiences — and turn data into useful insights. Mobile has changed everything for everyone. For marketers, mobile has presented an opportunity to learn much more about consumer behavior. Marketers can then use those insights to deliver useful brand experiences in intent-rich moments when consumers are looking to buy. But it’s not easy. Mobile has fractured the customer journey into little pieces (of data) and most legacy systems are ill-suited to organize, process, and make sense of all this data. Businesses could never hire enough people to mine all this data because it is growing and compounding so quickly — it’s just not practical. It’s estimated that 90% of the world’s data was created in the past two years. Think about that. While conducting a recent research study we discovered the top challenges enterprise marketers are facing in a mobile-dominated world. We studied these challenges, spoke with executives at leading organizations, and brainstormed with our own engineers to develop strategies and products to help marketers win in today’s modern world. Understand the customer journey. Marketers need complete data to see what’s happening across the entire customer journey. Views of performance based on sessions, devices, and channels are no longer sufficient. The new view of performance means putting customers at the center of marketing strategy, which requires a data toolset that’s integrated across channels, touchpoints, and devices. Get useful insights, not just more data. The masses of digital information produced each day mean marketers need enormous computing power, data science, and smart algorithms all working together to quickly make sense of data for them. Tools that can perform ongoing automated analysis and spotlight opportunities for marketers are essential to ensure future success. Share insights with everyone. Putting data into everyone’s hands gets the whole company on the same page, strengthens cross-functional goals, and drives smarter decision-making. Data isn’t just for analysts anymore. For organizations to truly adapt for success, they need more people using insights and more people collaborating to spark great ideas. Tools offering data visualization and instant sharing help foster a truly data-driven culture. Deliver engaging experiences to the right people. When organizations provide customers with personal and relevant brand interactions — that deliver real value — it naturally leads to better marketing performance. The consumer wins and the marketer wins. Achieving this state depends on seamless data integrations across multiple technologies and platforms — and on executing instantly. Tools that swiftly integrate well with others will lead the way. These four strategies work together to create a virtuous cycle that drives marketing results and a competitive advantage. 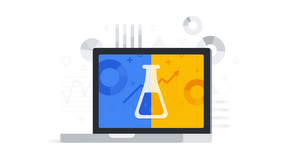 We built the Google Analytics 360 suite to help marketers execute on these strategies and overcome today’s challenges and win in the multi-screen world.